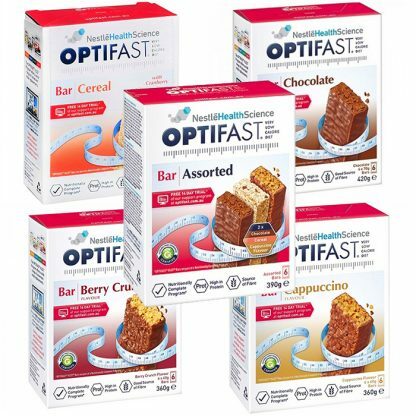 OPTIFAST VLCD Bars are a part of a nutritionally complete, very low calorie diet program. They can be enjoyed for breakfast, lunch or dinner, are high in protein and taste delicious. Emulsifier (Soy lecithin), Flavour], Soy nuts, Soy protein isolate, Minerals (Tripotassium citrate, Calcium phosphate, Sodium phosphate, Magnesium phosphate, Trisodium citrate, Magnesium carbonate, Ferric pyrophosphate, Potassium iodate, Zinc oxide, Sodium selenate, Copper sulphate, Manganese sulphate), Inulin, Fruit preparation [ Sugar, Raspberry (0.6%), Apple puree (0.4%),Raspberry (0.6%) and Cherry (0.2%) juice concentrate, Fructose syrup, Lactose (9%) (Milk), Vegetable fat, Flavour, Vegetable gum (440), Food acid (330)], Vegetable oil (Rapeseed), Vitamins (Ascorbic acid, Vitamin E acetate, Nicotinamide, Biotin, Vitamin A acetate, Calcium pantothenate, Folic acid, Cholecalciferol, Pyridoxine, Riboflavin, Thiamin, Cyanocobalamin), Food acid (330), Flavour, Emulsifier (Soy lecithin). Contains Milk and Soy. Made on equipment that also processes products containing tree nuts, peanuts and oats. Ferric pyrophosphate, Sodium citrate, Potassium iodate, Zinc oxide, Sodium selenate, Copper sulphate, Manganese sulphate), Cocoa powder (5.2%), Vegetable oils (Rapeseed, Safflower), Soy protein isolate, Vitamins (Ascorbic acid, Vitamin E acetate, Nicotinamide, Biotin, Vitamin A acetate, Calcium pantothenate, Folic acid, Cholecalciferol, Pyridoxine, Riboflavin, Thiamin, Cyanocobalamin), Emulsifier (Soy lecithin), Flavour. Contains Milk and Soy. Made on equipment that also processes products containing tree nuts, peanuts and oats. Fructose glucose syrup (sugar beet), Soy crisp (Soy protein isolate, tapioca starch, salt), Milk chocolate (17%) [Sugar, Cocoa solids (6.5%), Whole Milk powder, Emulsifier (Soy lecithin), Flavour], Soy nuts, Soy protein isolate, Minerals (Tripotassium citrate, Calcium phosphate, Sodium phosphate, Magnesium phosphate, Trisodium citrate, Magnesium carbonate, Ferric pyrophosphate, Potassium iodate, Zinc oxide, Sodium selenate, Copper sulphate, Manganese sulphate), Inulin, Vegetable oil (Rapeseed), Mocca Paste (0.5%), Vitamins (Ascorbic acid, Vitamin E acetate, Nicotinamide, Biotin, Vitamin A acetate, Calcium pantothenate, Folic acid, Cholecalciferol, Pyridoxine, Riboflavin, Thiamin, Cyanocobalamin), Flavour, Emulsifier (Soylecithin). Contains Milk and Soy. Made on equipment that also processes products containing tree nuts, peanuts and oats. Soy Crisp (Soy Protein Isolate, Tapioca Starch, Salt), Soy Protein Isolate, Sorbitol, Soy Cores, Polydextrose, Maltodextrin (Corn), Oat Flakes, Minerals (Tripotassium Citrate, Calcium Phosphate, Sodium Dihydrogen Phosphate, Magnesium Carbonate, Magnesium Phosphate, Trispodium Citrate Dihydrate, Iron Pyrophosphate, Zinc Oxide, Copper Sulphate, Maganese Sulphate, Potassium Iodate, Sodium Selenate), Glycerol, Fructose-Glucose Syrup, Cranberries in Syrup (Cranberries 2.4%, Sugar, Sunflaower Oil), Rapeseed Oil, Water, Vitamins (Nicotinamide, Ascorbic Acid, Vitamin E Acetate, Vitamin A Acetate, Calcium Pantothenate, Cholecaliferol, Pyridoxine, Riboflavin, Folic Acid, Thiamin, Biotin, Cyanocobalamin), Sweetener (Sucralose), Flavour, Emulsifier (Soy Lecithin). Contains Soy and Oats. May contain Peanuts, Milk and Tree Nuts. This assorted pack has 2 bars each of Chocolate, Cereal and Cappuccino Flavour. 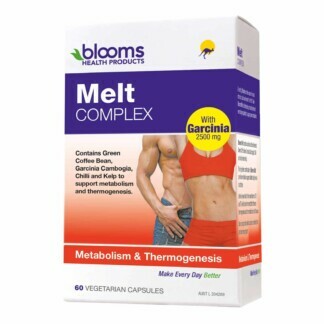 The OPTIFAST® VLCD™ Program is a very low calorie diet program, which consists of 4 levels. The Intensive Level is the very low calorie diet part of the program, which is a total diet replacement providing up to 800 calories. Following this is the Active 2 Level, Active 1 Level, and Maintenance Level, where food is gradually re-introduced and OPTIFAST® VLCD™ products are reduced and then eliminated. Really happy with the product and the fast turn around. Get free shipping for orders over $99*! We have standard and express services available. Shipping cost varies depending on location. For orders under 500g, we have a $6.95 flat shipping rate . For all other weights and locations your shipping rate will be calculated at checkout.